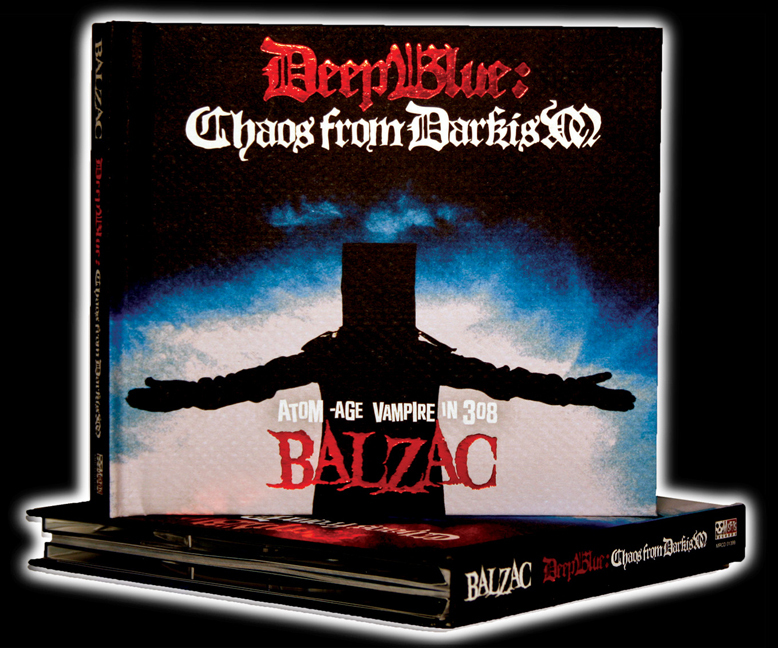 “DEEP BLUE: CHAOS FROM DARKISM” is presented in an incredible limited collector’s edition, perfect bound, red foil, hardcover book package not to be missed by collectors! 80 MIN. CD with 22-SONGS! Over an hour of music plus 20 min. of exclusive bonus tracks! Bonus DVD features OVER 2-HOURS of material including a full Balzac concert, 2 US Tour Documentaries, 5 music videos, rare live footage and more! 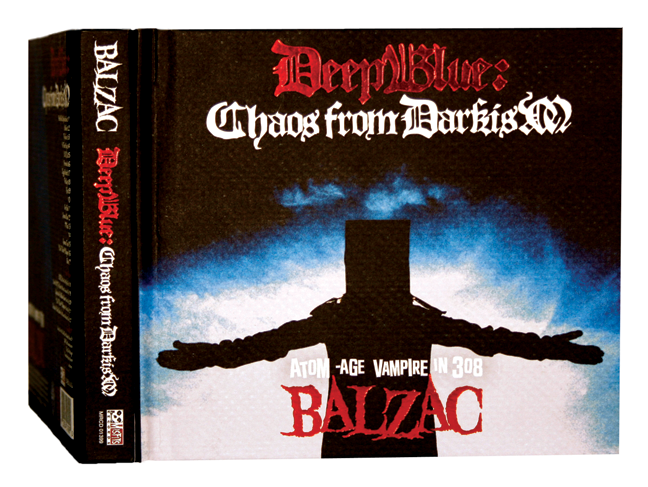 Making this collectible release even more extraordinary, 1-in-10 of these gorgeous, hardcover book CD/DVD packages have been AUTOGRAPHED by all four members of Balzac & randomly inserted into the pressing! This special collector’s edition hardcover book was offered in a one time pressing then discontinued, followed by a jewel-case release with some content omitted. 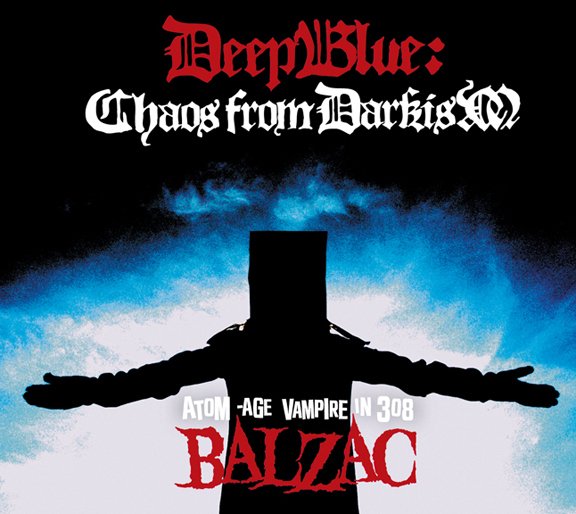 Balzac’s “Deep Blue” is also available via digital download at iTunes and digital music providers in the US & Canada. Click Here to Check Out the Balzac: “Deep Blue” E-Card. Preview 4 songs in their entirety and watch footage from the 2+ hour bonus DVD!